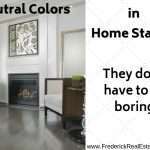  Are You Unhappy with the Zestimate on Your Frederick Maryland Home? 樂 How do you make YOUR Zestimate more accurate? 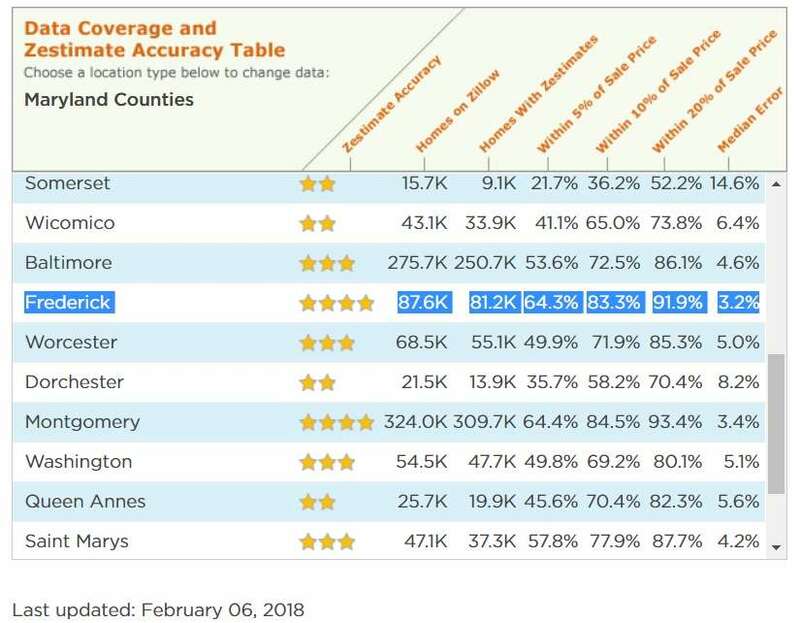 Zillow knows its computer calculations are imperfect, and they have coverage legally on that issue by disclosing that truth, and by disclosing the accuracy rates for each location. It’s just not very easy to find. If you click on the Zestimate link at the bottom of the Zillow home page, you will find a chart called Data Coverage and Zestimate Accuracy Table. The table lists the percentage accuracy of the Zestimate in each major metropolitan area. You can then click on states and see the data for counties. 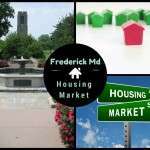 For example, here in Frederick (Frederick County Maryland), Zillow claims its Zestimate is 64.3 percent accurate within 5 percent of the actual sales price. I don’t consider this very good. The Zestimate gets more accurate at 20 percent of the actual sales price: 91.9 percent. To me, that’s a pretty large margin of error. It’s humorous to me that they give themselves 4 stars for 64.3 percent accuracy within 5% of sales price. If a Realtor® was only accurate that amount of time they probably wouldn’t be in business very long. Tip No. 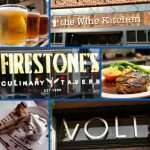 1: Add great photos. In my experience this almost always ups your Zestimate. Tip No. 2: Write great copy. Zillow has two questions: It wants you describe the features of your house and then describe why you like living in this home. The copy is really important. Guess what? Spelling and Grammar Count! I did this our house before we put it on the market 2 1/2 years ago and the Zestimate went up $10,000 in a few minutes! Note I had professional photos from Houselens and wrote in my finest King’s English. When should you do this? NOW! Or at least before you put your house on the market. Because you know your potential buyers will check Zillow before making an offer. Even if you are happy with your Zestimate, you should do this. You don’t know until you have a professional comparative market estimate (CMA) from a local Realtor® if that Zestimate is anywhere near accurate. 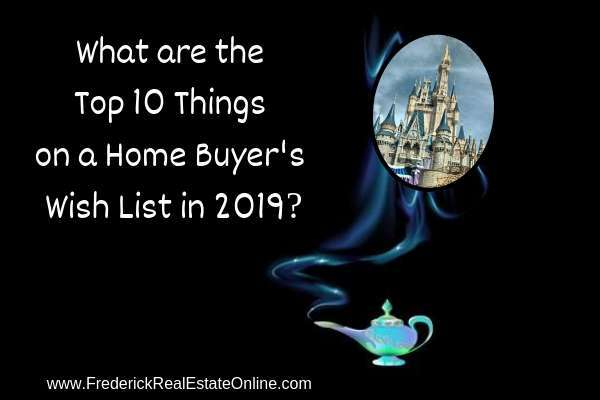 If you need help with this, contact me (Karen). I’ll be happy to help you. 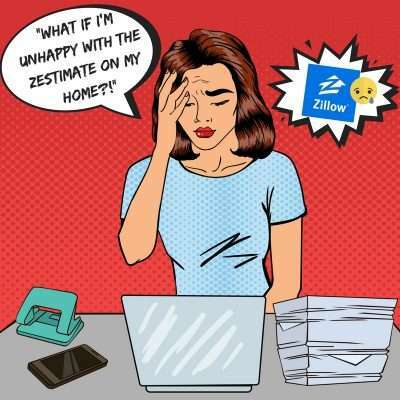 Zillow also disclaims: “A Zestimate home valuation is Zillow’s estimated market value. It is not an appraisal. 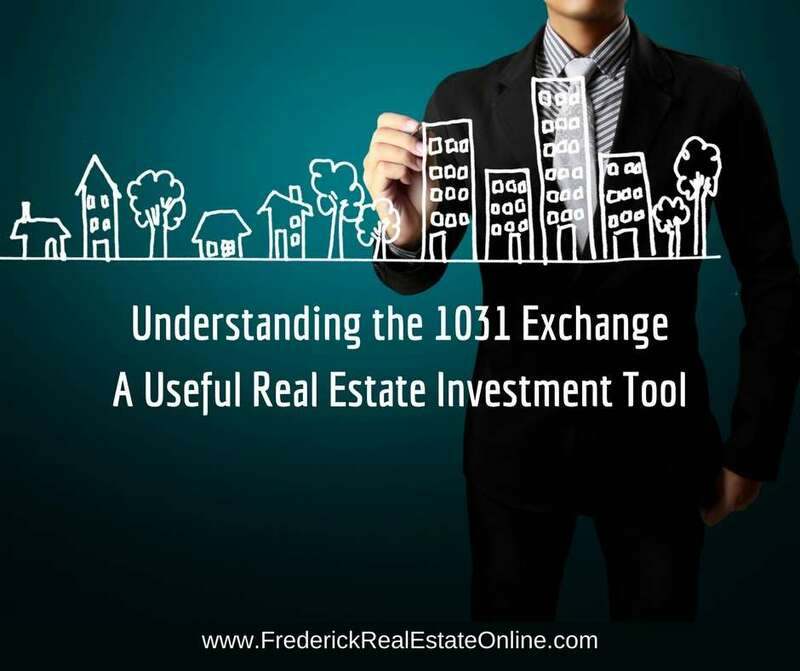 Use it as a starting point to determine a home’s value.” I don’t even know what that’s supposed to mean…if it’s not a Comparative Market Analysis, it’s useless. 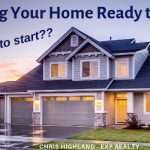 Zillow is a computer system, an algorithm, not actual humans calculating information. The system relies on public data, such as tax records to calculate, so if there are errors in public information, that will be reflected in the Zestimate. Or, if upgrades and improvements haven’t been added to a public database, they won’t be reflected either. Are you unhappy with the Zestimate on your home? By going to Zillow and updating the information about your house, you can help get a more accurate Zestimate. We can’t say how much it will help, but hopefully enough to minimize the possible damage of a grossly inaccurate number. Homeowners - Are You Happy with Your Zestimate?